What's new since the contest? Catch us up. Since the contest I've been wildly busy! 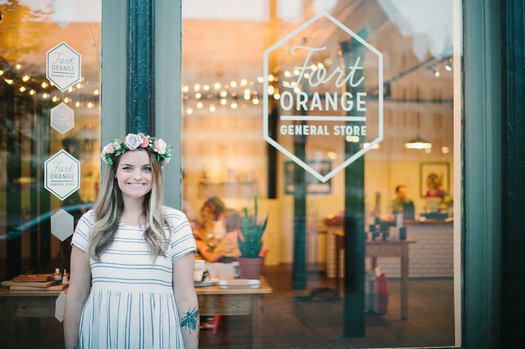 I moved into Fort Orange General Store in January as I aimed to do. It's been such a fun, beneficial relationship! 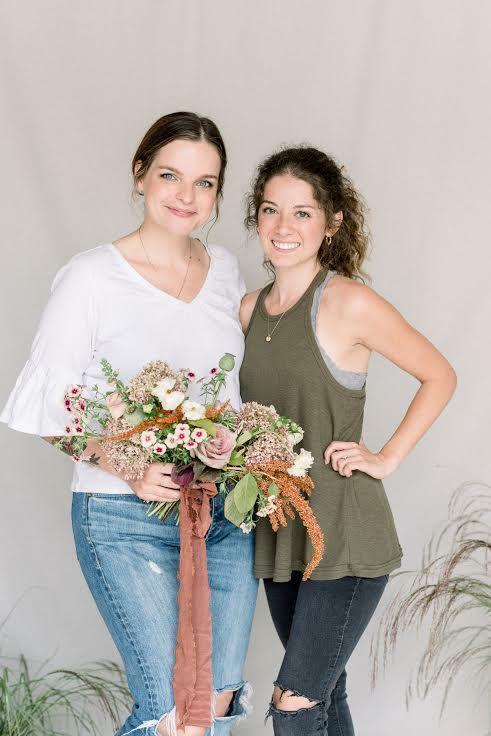 I've been selling houseplants and "grab-and-go" bouquets there, as well as teaching workshops and meeting my clients there for consultations and meetings. I really love the way downtown is growing and it's been fun getting to be a part of that. I've also booked up my calendar for 2018 weddings and am currently booking for 2019. 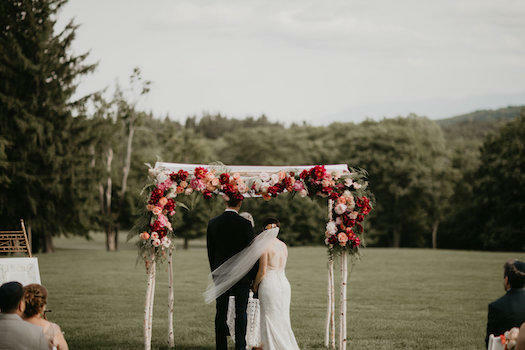 I'll do a total of 45 weddings in 2018 -- it feels so wild as I was new to the area, I'm so excited and thankful! I've learned that I can't do it all and I don't have to. I think our capitalistic culture views success as doing more and having more. For me, I'm learning that saying "no" to things actually makes me feel more successful and happy. My husband and I recently purchased our first home in Albany and I have two cute kids at home that I want to spend more time with. I like a busy, full life, but I've learned that boundaries are healthy and I'm allowed to have them. How intense the response has been to my work! In the least boastful way possible, I have more inquiries than I can keep up with. A year ago when I moved here from Portland, Oregon, I was terrified that no one would like what I do. I thought I was "throwing away" the business that I had built on the west coast. I'm surprised and SO grateful every day that people want to work with me and support me so much. What's a frustration that, if you could wipe it away, would make things easier? Taxes. Ha ha. Just kidding (kind of). I think I'm most frustrated by the lack of time I feel like I have to get all the things done that I want to get done. I have little time for creative projects and collaborations that I'd like to do. I wish there was another one of me; there's been a lot of growing pains! Which I'm going to change -- I've hired an assistant! What has felt like a win? I'm going to keep on the path I'm on! I'll be growing my team, serving my 2018 couples the best I can, and looking into the future with more workshops, more weddings, and more small business collaboration. I’m always thrilled to see former students achieve their own definition of success and couldn’t be happier for you, Cassie! You are a ray of sunshine and seeing you spread your light is awesome.